The exasperated sighs of students who insist that they'll never need the information they learn in math classes are so common that many teachers and parents have stock answers for the ways math functions in everyday life. But math is also relevant to a wide variety of academic subjects, which means that a student who does poorly in math could end up struggling in other subjects. Many classes in college and trade school involve measuring, weighing, drafting, understanding chemical formulas, calculating statistics and analyzing marketing data, for instance. 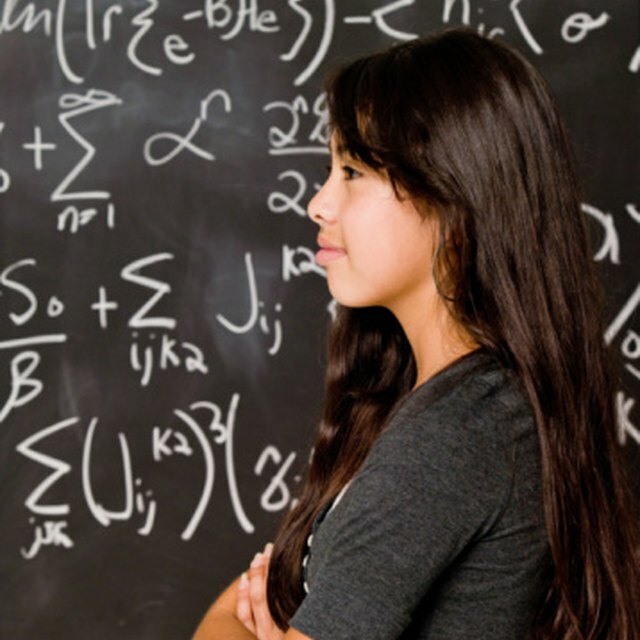 Students' career options will be limited if they do not have a solid foundation in math. Science and math are intimately connected, particularly in fields such as chemistry, astronomy and physics. Students who can't master basic arithmetic skills will struggle to read scientific charts and graphs. More complex math, such as geometry, algebra and calculus, can help students solve chemistry problems, understand the movements of the planets and analyze scientific studies. Math is also important in practical sciences, such as engineering and computer science. Students may have to solve equations when writing computer programs and figuring out algorithms. Nursing majors may have great bedside manner. but they also need to know how to precisely calculate dosages to pass their courses. Literature might seem like a far cry from math, but mastering basic arithmetic can enable students to better understand poetry. The meter of poetry, the number of words to include in a line and the effect that certain rhythms have on the reader are all products of mathematical calculations. At a more mundane level, math can help students plan reading assignments in literature classes by discerning their average reading time and estimating how long it will take them to read a particular work. The linear, logical thinking used in mathematical problems can also help students write more clearly and logically. Social studies classes, such as history, often require students to review charts and graphs that provide historical data or information on ethnic groups. In geography classes, students might need to understand how the elevation of an area affects its population or chart the extent to which different populations have different average life spans. Knowledge of basic mathematical terms and formulas makes statistical information accessible. Students interested in pursuing careers in theater, music, dance or art can benefit from basic mathematical knowledge. Musical rhythm often follows complex mathematical series, and math can help students learn the basic rhythms of dances used in ballet and theater performances.Art thrives on geometry, and students who understand basic geometric formulas can craft impressive art pieces. Photographers use math to calculate shutter speed, focal length, lighting angles and exposure time. Thompson, Van. "How Is Mathematics Used in Other Subjects?" Sciencing, https://sciencing.com/how-is-mathematics-used-in-other-subjects-9861185.html. 25 June 2018.